Every home and client are a unique combination. There is no set system that works for every sale. Getting to know you and your home is the most important first step. Accurately pricing your home. I analyze the comparable sales data for similar properties in your neighborhood and prepare a detailed report, adjusted for your homes unique details, to create a realistic valuation of your property. Preparing your unique property. My services included a full evaluation of your homes decor and condition, I will make recommendations for repairs and sprucing up the home. Not every home needs staging, There are some very good amateur interior designers out there! If I feel that your home does need a little extra love, I will call in my expert to help bring a little flair to your property! Your neighborhood expert, I have spent my whole life on Southern Vancouver Island and almost 20 years in Victoria. My wealth of knowledge about our cities diverse and eclectic neighborhoods is deep and extensive. I know precisely how to highlight their distinct charm and features to help showcase your home. Extensive Marketing Plan. I start with professional photographers and floorplan designers. With these materials I create high end brochures to display in your home and use in my online marketing campaign that spans dozens of websites and the top social media platforms. All of my listings get boosted advertising on facebook. Back in the real world I will place an attractive for sale sign with white sign post and personally host open houses as needed. Printed 'Just Listed' will get distributed to your immediate area, lots of people looking for a home could have a friend nearby! Communication. I am an independent agent so when you hire me you get my professionalism and experience. When you email, text or call me I will answer, not an assistant or an agent you have never met that comes with hiring a team. I will be with you every step of the way. Master negotiation. When the time comes to negotiate, I ensure the deal is binding and that all conditions and terms are in your favor while also meeting the needs of your home's buyer. Multiple offer situations can be hectic, but my knowledge and expertise will be a vital component of ensuring all parties are dealt with honestly and ethically. The move. Some people have very hectic lives and co-coordinating a move may be next to impossible. I am more than happy to pitch in where needed and you will have the option for a professionally cleaning on me*, so you don't have to! Dedicated follow up. Once the sale of your home completes I will be in touch every so often to see if there is anything further you require. I am always just a phone call away, even after the sale. *professional cleaning option may depend on the about of time available between the removal of your belongings and the schedule of the new owners coming in. Carpet cleaning not included. (He) sold my place in three days - use this real estate salesman. You can do no better. Mike was very responsive and patient in our search for a new home in a very hot market. His knowledge and forthright manner were much appreciated. He was also able to recommend excellent professionals to help us with every aspect of buying and selling. Thanks Mike! Hi Mike, Thank you for your tireless efforts in helping us find the perfect home. We have been settled in for a about two months now, and we are enjoying every square foot of it. We'll be referring you to all of our friends because of your excellent service you rendered to us. Thank-you Mike. 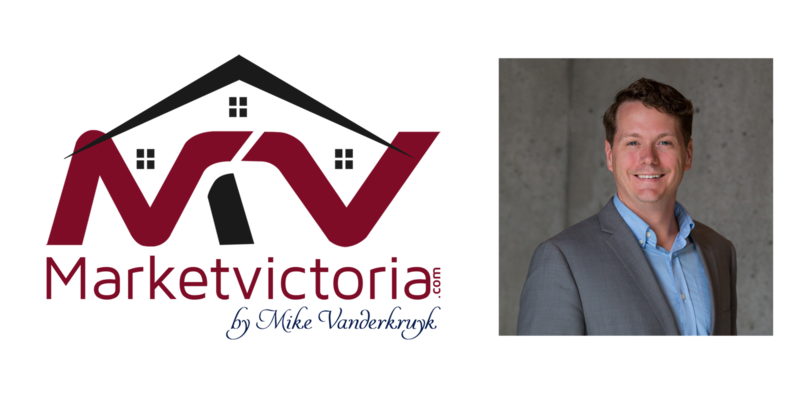 We recently sold a house in Victoria and were pleased with the result. 4 stars! We recently purchased our first property thanks to Mike. He listened to our needs for a place and provided us a list of places that might be of interest. He arranged viewings and met us at each place and provided us feedback on potential issues as well as obtaining and discerning various strata documents. He was quick to answer any questions we may have had throughout the process. I would recommend to Mike to anyone looking for a place.